Are you looking for a church? Planning to visit St. Paul Lutheran in Sevierville? We hope that the following information will answer many of your questions and address some of your concerns. Please feel free to contact us if you need more information. Contact information is on our "Home" page or under the "About Us" menu above.. Many people wear dress clothes, while some, including most visitors to our area, dress casually. Wednesday services tend to be more casual than Sunday services. Regardless, we encourage you to wear clothes that are sensible and comfortable, but modest. Whether you wear a tuxedo or jeans, you are welcome. We will not point you out as a guest, or make you stand up as a part of the service, but we will try and greet you as you arrive and we will encourage you to fill out and turn in a visitor's card located in the pew rack where you are seated. Children are always welcome. We want families to worship together. Children's "activity bulletins" are available from an usher upon arrival. 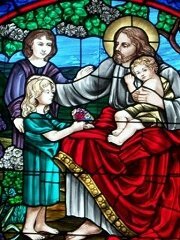 On most Sundays, children of all ages are invited to come forward to listen to a brief children's "sermon", but this is optional. If you need to take your child out of the sanctuary during the service, you can still listen to the service on the speakers in the narthex or in the nursery. Our nursery is not staffed, so you will need to remain with your child. Each service lasts about an hour, more or less. Wednesday services are usually less than an hour. We sing traditional hymns from our ‘Lutheran Service Book’, accompanied by an organ or keyboard. When you first enter the church through the main entrance, you will be welcomed by our greeters. One of the ushers will give you a bulletin. The bulletin contains the order and structure of today's worship service (the "liturgy"), and includes today's lessons and hymn numbers, as well as an insert containing announcements for the week. Please feel free to ask any questions of the greeters or ushers regarding the church or the service. With only a few exceptions, we celebrate Holy Communion (the Lord's Supper) at every service. A laminated card containing general information. A laminated card entitled "The Divine Worship" that explains the meaning of the elements of the liturgical service. A maroon colored "Lutheran Service Book". Sometimes you will need to use this book when the words to a particular hymn are not included in the bulletin due to space constraints. Visitor's cards — We would love to have you share your name and contact information with us and let us know how you found out about us, but that is entirely up to you. If you so choose, please fill out a card and either place it into the offering, or hand it to an usher following the service. Note that one side of the card is for "local" visitors, and the other side for "out of area" visitors. We believe that our Lord gives us not only bread and wine, but that the bread and wine are His very body and blood to eat and drink for the forgiveness of our sins. Our Lord invites to His table those who examine themselves as having faith in His words, are repentant of all sins, are at peace with everyone, and harbor no hatred or vengeance in their heart. We follow God’s example, just as He forgives and loves each of us. Those who eat and drink our Lord’s body and blood in an unworthy manner, do so to their great harm. If you desire to take Communion with us, but have not been formally instructed, or are in doubt about our confession of faith, we ask that you first speak with the Pastor or one of the elders. Do you take up an offering? Yes, we do take an offering at each service. We feel that the offering is an opportunity for us to give back to God what He has blessed us with. For members, it is an integral part of the worship service. Guests should not feel obligated to participate. Just before the start of the service, an elder will light the candles while our organist plays a prelude. The Pastor will then enter, greet the congregation, make any special announcements, and then begin the service following the order of the liturgy in your bulletin. If you are communing, the ushers will let you know when it is your row's turn. When motioned by the Pastor to do so, kneel at the Communion rail (or stand if you're unable to kneel). 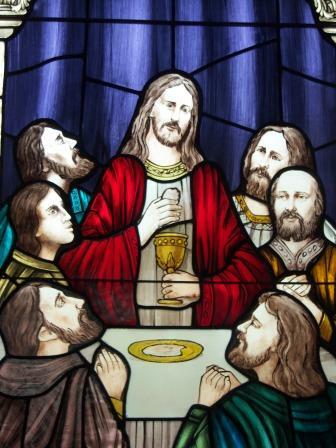 Holy Communion is celebrated with wafers and your choice of individual glasses of wine, or taking from a common chalice. Individual cups of grape juice are available in lieu of wine. Those not receiving communion, including small children, are encouraged to come forward to receive a blessing. Simply cross your arms over your chest to indicate to us that you desire a blessing. This is totally voluntary and you can remain in your seat if you wish. If you wish to take communion but are unable to walk to the front of the church, just notify the usher, and the pastor will serve communion to you where you are seated. After your visit, we would love to hear from you regarding your worship experience at St. Paul. You are encouraged to complete a brief survey. Thank you for worshiping with us and we hope that you return soon.